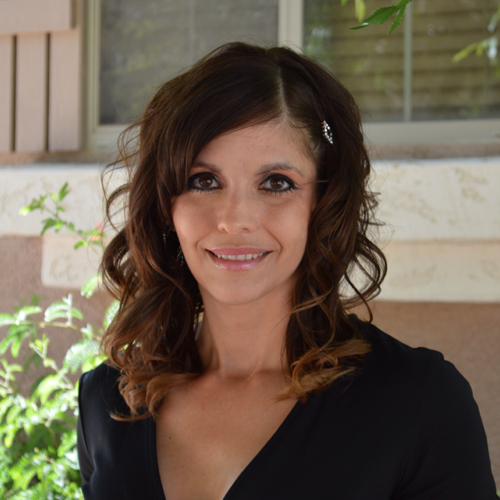 In today's Agent Insights post, Nicole Doty - a Real Estate Broker / Owner in Gilbert, Arizona - offers agent advice about being true to yourself and proven ways to boost your confidence. When you're the best at what you do people know it. Potential clients can feel the difference between a beginner and an expert who is familiar with their craft inside and out. But do you feel the same about yourself as other do? What do you see when you look in the mirror? Do you see a successful person, or are you just pretending to uphold a level of bravado hoping others will buy what you're trying to sell? I've never been a fan of the phrase, "Fake it until you make it". I never go against my own principles in business. One of my founding ethics is Honesty. I can't very well stand or sit in front of a potential buyer or seller and tell them what they want to hear merely for the purpose of gaining a sale. If I don't know the answer to a question, I will tell you that I don't know. However, I will also tell you that I'll find the answer and get back to you as soon as possible. I've been in the real estate industry for over 17 years and there are still issues and complications that I come across for which I don't have an immediate answer. Contracts, rules, and laws change almost every year. Even though we take as many continuing education classes as possible to keep up with it all, there are some instances and situations that warrant further discussion and research before an educated answer can be given. I'm not afraid to tell someone that I need to get back to them because I'm not 100% certain about a question they have. Have you ever caught yourself being fake with peers, clients, friends, or family to maintain a certain level of expectations you have for yourself? I certainly have. However, in a world that's driven by image, and perceived status I believe people are clamoring for more natural and genuine personalities. In my experience, customers and clients would much rather know that a person is being forthright and authentic with them instead of pretending that they have it all figured out. I've also fallen in to the trap of "keeping up with the Jones's" a few times in my life. It's exhausting, empty, and miserable. I feel like never before in my lifetime, the phrase "be yourself" is such a foreign concept especially for a small business owner. We are under a never ending barrage of reports and articles telling us to market one way or another to every conceivable age group, different personality type, or distinct consumer. We can get so lost in trying to appeal to such a vast audience we can lose sight of who we are and even what we do. More importantly, how are we coming across to those we interact with either online or in person? Can they tell when we're not really the person we're trying to be? If you're a lion then be a lion. The world needs lions. But it also needs owls, elephants, rabbits, bears, and worker bees. Know which type of person you are and play to your strengths. The more you recognize yourself and your own strengths and weaknesses, the better you'll be at servicing your customers and clients. Be true to who you are each day. The right clients will find you and when they do, you'll both get the most benefit out of the experience and relationship. Want more insights from other seasoned real estate pros?